If you didn't already realise this blog is going to have a lot of pictures of food. Out first meal was fantastic! 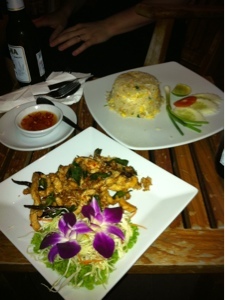 Lemongrass chicken and Khao Phat. And yes we are are very happy!